There is a reason the saying “putting on the Ritz” exists. I believe that it began being thrown around in Atlanta; Buckhead to be more precise. 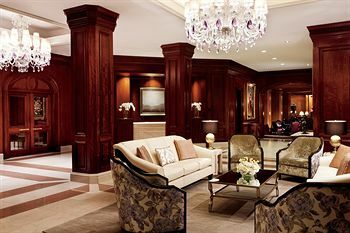 Several weeks ago I found myself needing a hotel for a meeting in Atlanta, since my wife was joining me I thought I would splurge on something nice so I made our reservation at the Ritz Carlton / Buckhead. Driving up the landscaping was colorful and well maintained and the front on the building showed some signs of wear on the blue awnings. Once I pulled under the portico I was greeted by 3 young men in crisp clean uniforms smiling and offering their services. Before I know it they had handed me a claim check and a bell person had gathered our bags. The doors were opened and I was greeted by a lobby attended as I made my way to the desk. Chick in was quick and we were assigned a room on the concierge floor (I suggest paying a little extra for this upgrade). Kim my wife and I enjoyed wine and light appetizers that night and breakfast the follow morning. That evening we had dinner in the restaurant which was outstanding, well prepared and beautifully presented. The room was spotless, showed the age of the building but well-appointed and comfortable.